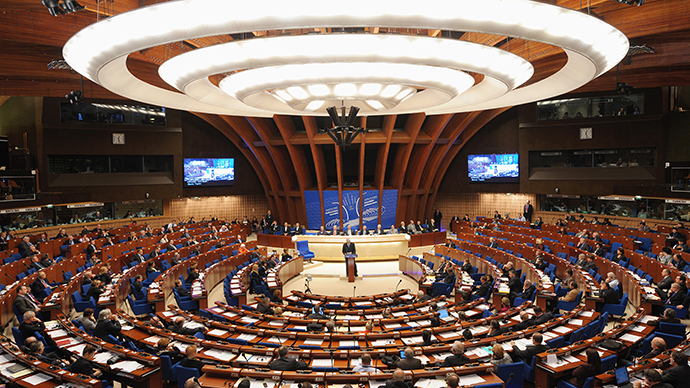 The Parliamentary Assembly for the Council of Europe (PACE) has suspended Russia’s right to vote and excluded them leadership positions, until the end of the year, in retaliation for Crimea voting to join Russia. 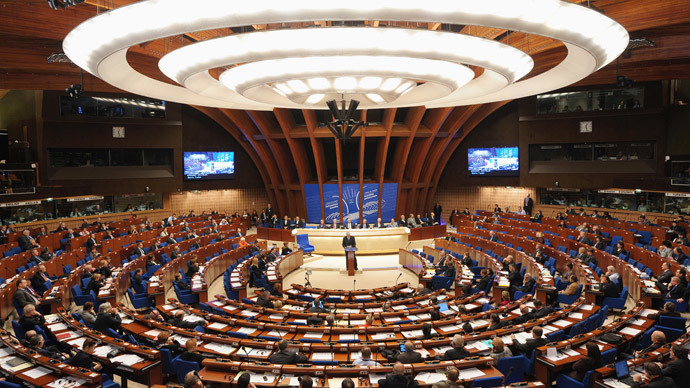 Russia will not be able to vote at the Council of Europe assembly until the end of 2014, after members decided to exclude the country after Crimea voted to leave Ukraine and join Russia. The Russian delegation will also be omitted from all positions of leadership, the Bureau, Presidential and Permanent committees. Russia’s right to attend in observer missions to the assembly was also suspended, with the head of the country’s delegation, Aleksey Pushkov saying “this is an awful violation of Russia’s rights”. On his twitter feed, Pushkov was scathing of the decision, “the relationships between Russia and PACE is the sharpest crisis in its history. Now Russia is just an inch from tearing up its relationship with PACE”, while he also stated, "The resolutions look like they are from NATO, not from an institution that is meant to unite Europe. This is a triumph of double standards." Russia’s delegation said before the vote that he could leave the Parliamentary Assembly for the Council of Europe in protest at the decision. However, in a heated media conference following the session, a more relaxed Pushkov stated, “We will take our time. The Russian delegation will meet in a calm atmosphere to make a decision within the next two to three weeks”. The Russian delegation did not even attend the vote in protest at the motion, which was tabled by Robert Walter, a British member of the assembly. “If they want to play the role of an inquisitor, let them play it themselves. At the moment we are contemplating whether we still want to be a part of PACE,” Pushkov mentioned. However, a second motion by Walter to kick Russia out of the organization completely was rejected. “We have friends and partners – people who feel for us and understand the deep self-righteous and fictitious manner of this discussion. We do not want to leave them because they believe it’s important that Russia stays in PACE,” he said. 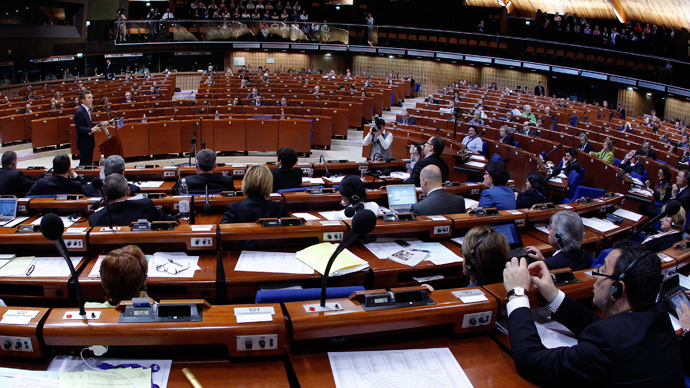 In April 2000 Russia’s voting rights were also taken away by PACE, an organization which they joined in 1996. This was in connection with a counter terrorism operation in Chechnya. On that occasion the delegation left the auditorium and refused to work until their voting rights were fully reinstated. In January the following year, Russia was given back its voting rights and the delegation stated its work once more. PACE president Anne Brasseur, of Luxembourg, expressed the hope that a dialogue with Russia will continue. “I think and I hope that we continue to dialogue because it’s only in the Parliamentary Assembly where you have to talk and to find solutions together even if you don’t agree. But then, there is a vote – that’s democracy. And then you have to accept the vote of the majority,” she told RT. For now, the Russian delegation “left the hemicycle” intending to consider the issue back at home. “I hope that they will find a wise decision in order that we can continue to have a dialogue and to find solutions,” Brasseur said. “It’s very easy to close the door, but it’s very difficult to open it again. And I think that’s from both sides. That is why vast majority of the assembly today didn’t close the door,” the PACE president pointed out, adding that she hopes that Russia will not do that either.